Under Construction: Come and see Del Tierra, Bradenton's most exciting new gated community featuring Spanish Style architecture, and amazing amenities including private streets, a resort style pool with a covered outdoor dining space, an exercise room, places to play, and plenty of cabana style seating. The Hawthorne guides you through an 8 foot entry door and a spacious foyer into a huge great room with an overlook kitchen. The kitchen includes 42" cabinets, granite countertops and a large corner pantry. The owner's suite includes a trey ceiling, his and her closets, and a deluxe bath with double vanity and a separate garden tub and shower. The other 3 bedrooms are also very spacious, one with it's own bath and walk-in closet. 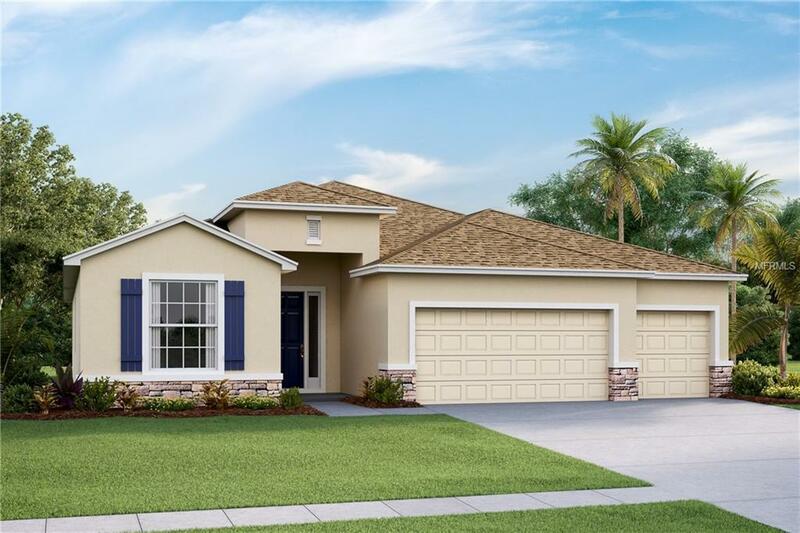 Lots of great features throughout including stainless appliances, a fabulous covered lanai, upgraded plumbing and lighting fixtures, and extra tile. Don't miss your chance to own this home with a great pond view! Pictures, photographs, colors, features, and sizes are for illustration purposes only and will vary from the homes as built. Home and community information including pricing, taxes, included features, terms, availability and amenities are subject to change and prior sale at any time without notice or obligation.